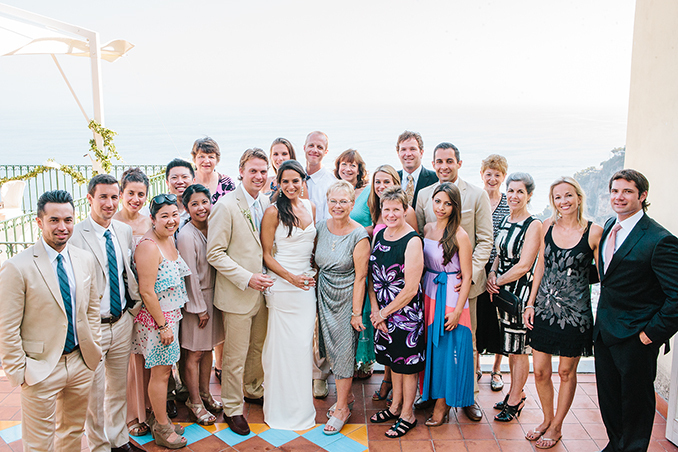 When we shot Megan and Jeremy's wedding in Positano, Italy, we knew it would be great. The Amalfi coast is simply stunning and despite its wealthy status, it retains a really chilled out and relaxed vibe. What we didn't bargain for was going out there to work, and leave with a ton of new friends. From the second we all met, everything just clicked, like we had known them for years. Whether we were hanging out watching the Euro's, or making them climb into fishing boats for pictures, it was like doing it with old friends. Seriously, this did not feel like working at all. Although, my aching legs from the millions of steps Positano is famous for, might disagree! This was one of the closest and most intimate weddings we have ever been a part of. A handful of friends and family spending a few days together to celebrate two great people in love. It wasn't flash, it wasn't hugely pre-planned (have you ever tried to pre-book anything in Italy?) but it was perfect. It encapsulated everything about Megan and Jeremy's relationship, not only with each other, but with all those around them. Relaxed, fun, honest and a great time. The whole group is really close, which made it even more incredible that they all welcomed both Maria and I with such open arms. We seriously can not thank you guys enough. So having met everyone, I decided I really needed to tell Megan and Jeremy's story in a slightly different way. On busy wedding days, sometimes your nearest and dearest don't get time to tell you why they love you, and why you are so special to them. So, I thought I would give everybody that chance. Instead of our normal coming soon trailer, I decided to make them this short film, 'I love you because'. So here is to love, health, happiness and some incredible new friends. We love you because you are awesome! I don't know anyone in the video (it was sent to me by a friend of the bride) but what an awesome video and a wonderful memory :-) Congratulations!